Paques helps companies to reduce their water footprint and carbon footprint and to reclaim valuable resources. Paques’ anaerobic water purification systems produce energy (biogas) from wastewater, whilst purifying the water and facilitating water reuse. As the marketplace has become increasingly competitive over the years, it has become more important to strengthen the grip on costs and lead times. The engineering process that precedes the production and assembly plays an important role, as is the case with most engineer-to-order chains. Involvation performed a quick scan during February/March and reported its findings. These formed the basis for the development of a new blueprint of the desired value chain and the control concept. As a result, Involvation is helping Paques to create a total chain that is not only faster, but also more reliable and more efficient. Flowserve designs, builds and assembles complex industrial installations. Control over progress of projects is essential for several reasons. Flowserve has asked Involvation to support them to further professionalize their project management. Fokker Elmo, based in the Netherlands with subsidiaries in several continents, is a leading player in design, manufacturing and support for the electrical wiring interconnection systems (EWIS) for Aerospace and Defence programs. 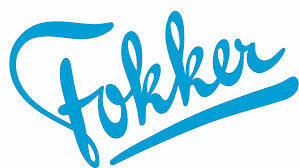 Fokker Elmo’s innovative tools and processes support their customers’ aircraft, aero-engine and defence system programs. Tactical Planning, focusing on the planning horizon between 3 and 15 months in the future. Operational Planning, focusing on the short- and mid-term planning up to 3 months in the future. Tomra is world market leader in reverse vending machines (RVM). To stay ahead of future developments Tomra is continuously developing its supply chain. Tomra has asked Involvation to support them to further professionalize their supply chain.